Use this 'Bulls Eye' jig to drill an accurate #50 hole in the exact center of the coupler box pin for installation of a cover retaining screw. After drilling, tap the hole and install a #2-56x1/8 round head machine screw to tighten the box lid and eliminate coupler droop. 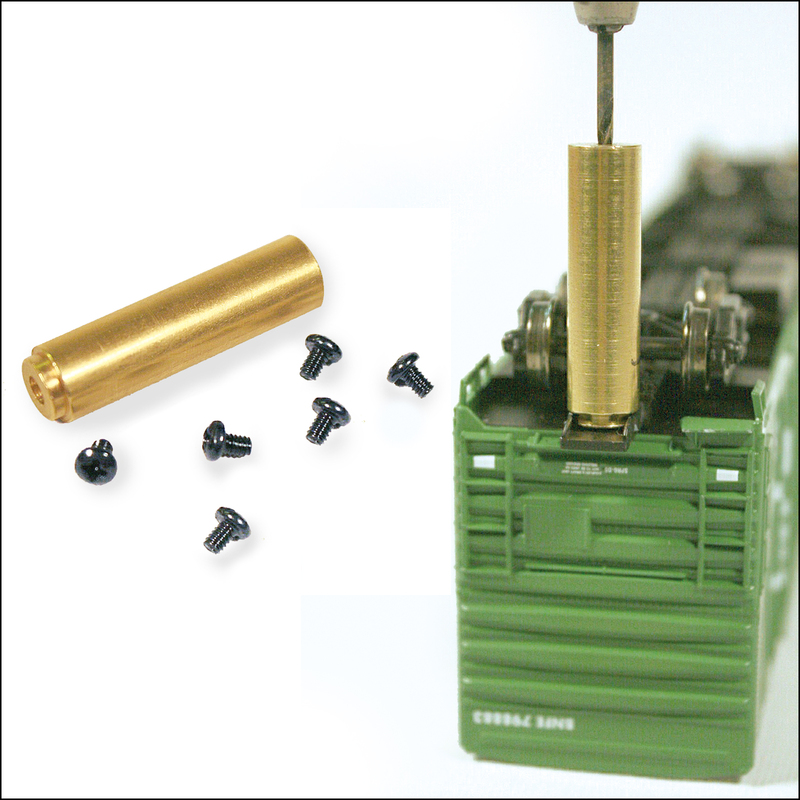 Includes machined brass drill guide, six screws and instructions. Micro-Mark Tip: We recommend our #82110 Deluxe Ball Head Pin Vise for driving the drill and tap.